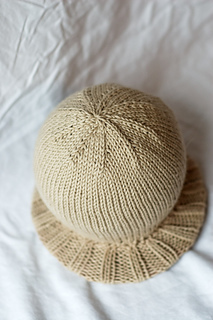 This made-for-warm-weather hat is knit in the round from the brim up. 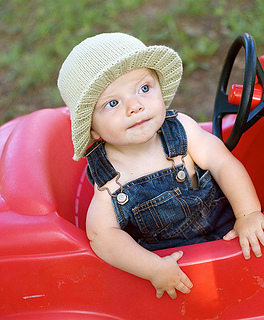 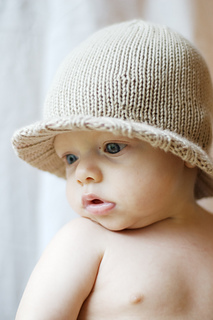 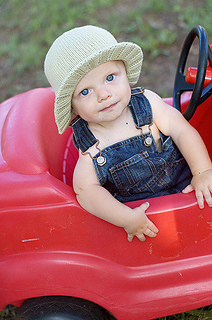 The brim goes all the way around to protect baby’s delicate skin from the sun and is encased in a knit rib. 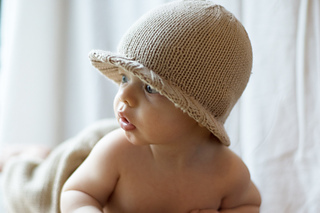 The pattern includes a traceable brim outline. 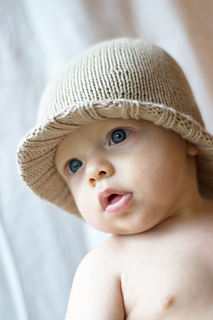 This design is also included in the Topped for A Year collection. 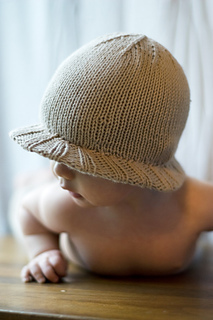 Suitable for beginning knitters.